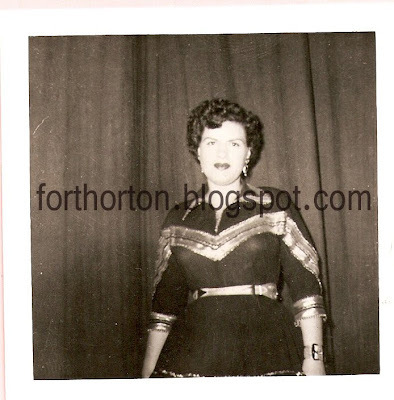 This picture appeared in a Johnny Horton Memorial Fan Club book. It was sent in by Mabel Samland. I don't really have a story to go along with this one. I just wanted to share this picture with you because I haven't seen it published anywhere else. Hi, just wanted to let you know that you should probably put a watermark or your name across this photo. I have seen it on other sites and even for sale on ebay more than once... just wanted you to be able to protect such a rare photo. Good call--thank you for pointing that out. Done.